A woman who was headed to her mother’s funeral died in a car crash on March 26. According to Utah Highway Patrol (UHP) the victim was Danielle Valle (also known as Danielle Marquez), a 48-year-old from Mesquite, Nevada. Officials said Valle was in a car with two others at about 7 a.m. on Interstate 15 where a winter storm had turned the road wet and icy. 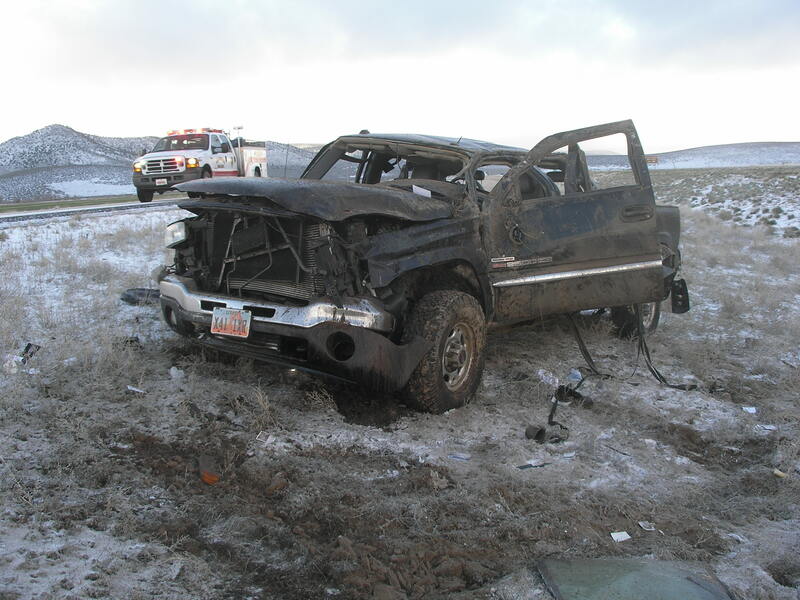 The male 48-year-old driver lost control of his Sierra pickup truck and slid into the median where the vehicle rolled several times. 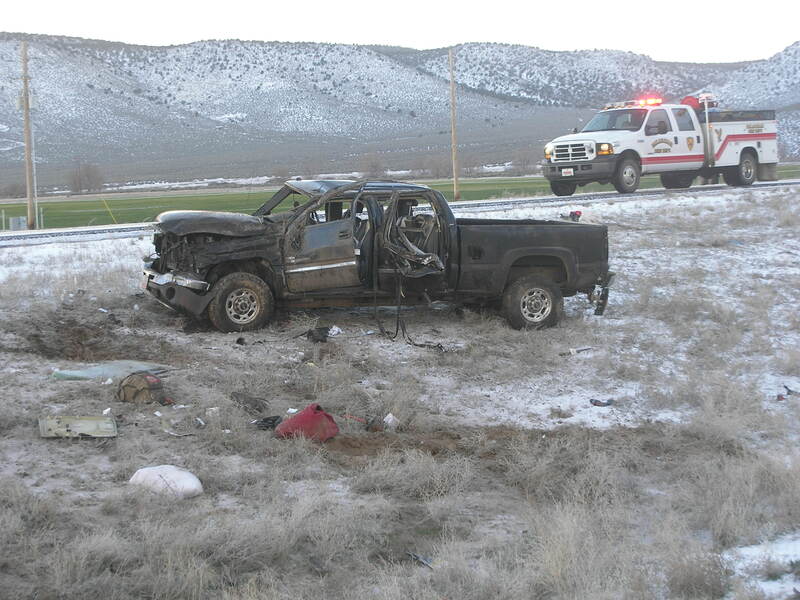 The UHP said both Valle and another female passenger were not wearing seat belts. 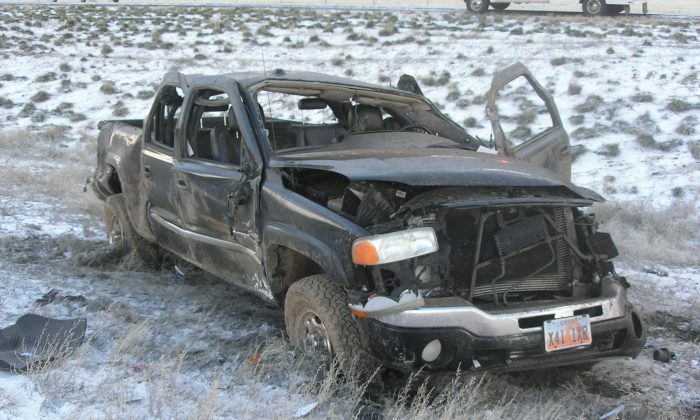 Valle was sitting in the front passenger seat and was ejected during the crash. Officials say the 28-year-old woman in the car was seriously injured and was flown to a hospital via Life Flight. Meanwhile, the driver was transported by ambulance to Beaver Hospital. 68-year-old Shirley Irene Madrid-Coates, Valle’s mother, died on March 11 after a “battle with a long standing illness,” according to a GoFundme account that was set up for donations to help pay for her funeral. Thanks to everyone for all of the love and support over the past few weeks. My mom is smilin’ down from heaven! Blessings on your day. According to Valle’s Facebook page she had moved from Texas to Utah to be closer to her ailing mother and help with the family. “I will have to live each new day, knowing I can’t look forward to the next time I will talk to her or see her beautiful face,” said Valle in a post on social media a few days after her mother passed away. “The past few days have also been an overwhelming experience for my dad, daughters, grandkids, brother, sister-in-law, nephew and nieces. She was the source of LIFE for all of us, and her every day presence will be greatly missed,” she added as she thanked people for the support.